Hosco Jaguar/Jazzmaster style tremolo in the classic design. The spring tension of the tremolo is easily adjustable from the top of the guitar using the centre front screw and it also features the tremolo locking mechanism where sliding the lock button back holds the tremolo in to a dive only mode (and stops your guitar going out of tune if a string breaks). The tremolo comes with the arm and all required screws to install. 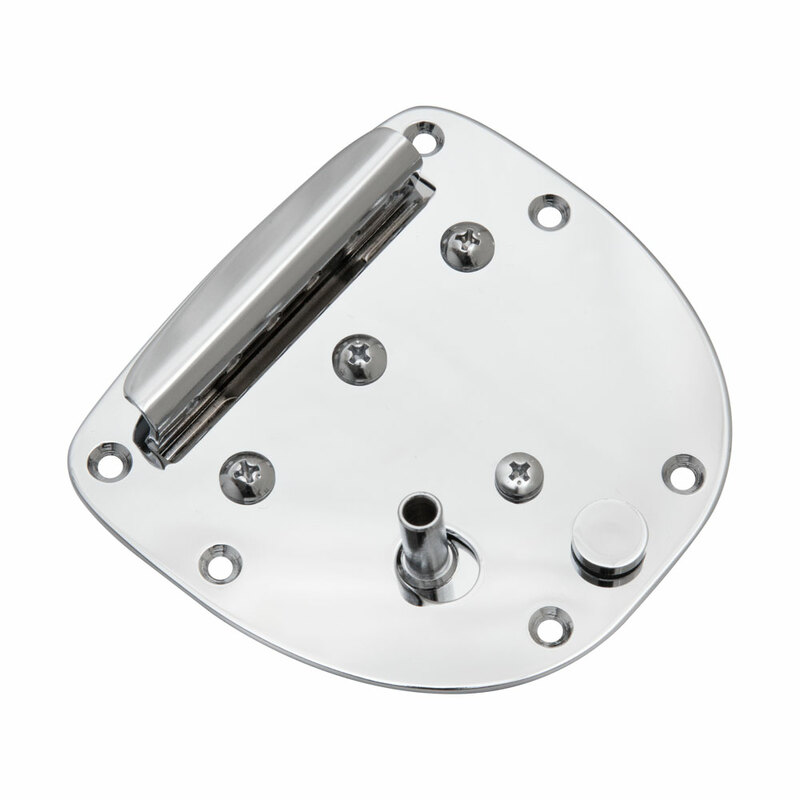 The Jaguar/Jazzmaster bridge is also available from us separately (we stock two models with either modern or vintage threaded string saddles).